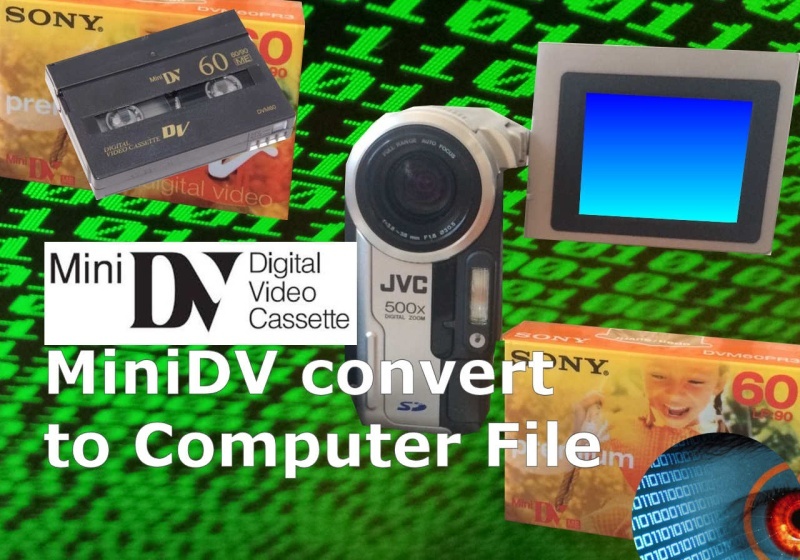 We convert your MiniDV tape Cassettes to computer video files so you can save to hard drive, USB memory sticks, dvd disks and edit or play the video on phones laptops and mobile computers. MiniDV transfer and conversion to computer digital video files problems that we recover data from are listed below. minidv video tape cassette conversion transfer to computer laptop usb memory stick mp4 mpg mpeg2 avi files save store on computer hard drive hard disk hdd. We transfer MiniDV tapes to hard drive digital file convert to mpg mp4 mpeg2 for computer playback Apple Mac Windows PC Tablet Samsung Galaxy smart phone iPad.